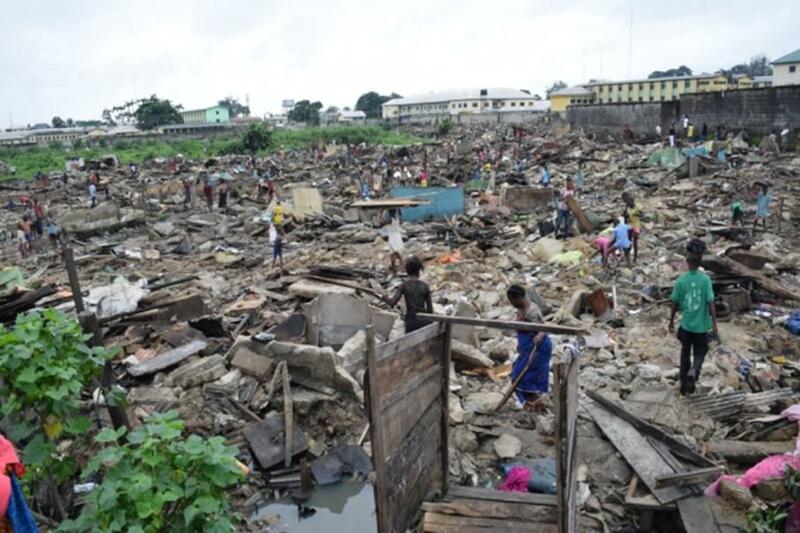 Social Action together with other civil society organisations has over the years protested the forced evictions and wanton destruction of many waterfront communities in Port Harcourt, Rivers State. The exercise which has been going on for years, saw many waterfront communities destroyed by the government while the lands are apportioned to the politically connected. Recently, the Kogi state government made a public admission and disclosure that it has defaulted in paying its workers’ salaries due to huge loan servicing by the State. 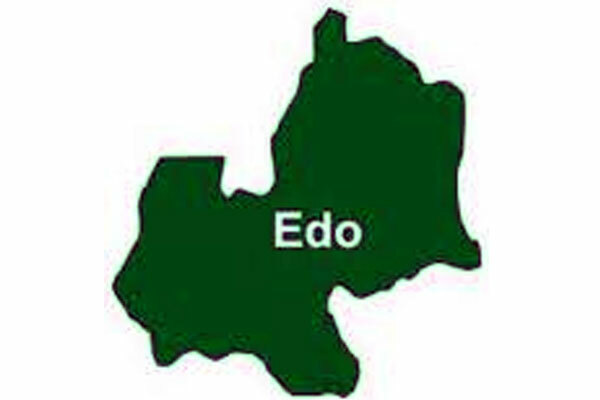 The State’s Director-General, Media and publicity stated in the report that “. . .the loans were taken by the two previous administrations for projects that did not add value to the state. Sometimes, we repay between N400m and N500m monthly as loans that add no value to the state. These loans were taken by the last two administrations and some of them were invested on projects that were never completed”. 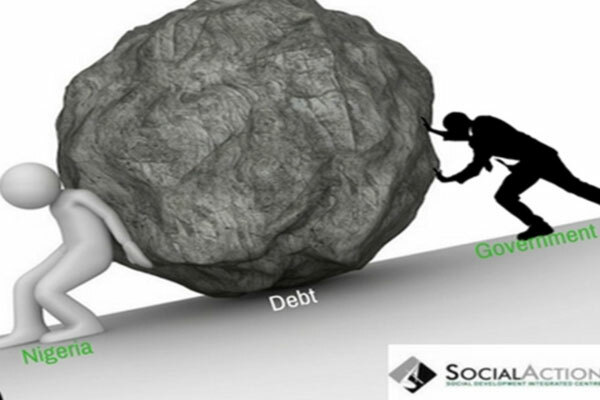 There has been a massive outcry over the increasing rate of borrowing by the Nigerian government. The Nigerian public debt profile rose significantly between 2015 and 2017. As at June 30, 2015, Nigeria public debt stock was N12.12tr. However, as at December 2017, the debt had increased by over 72% to N21.7trn, a difference of N8.25trn in two years. 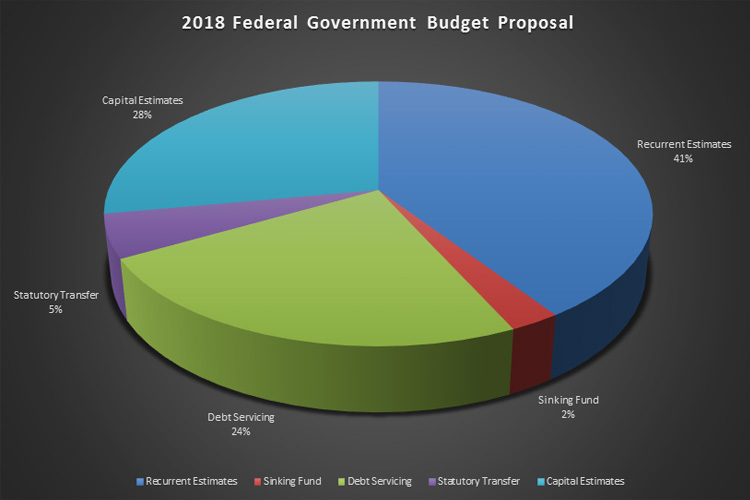 It is important to note that this amount is more than the entire budget allocation for 2018. 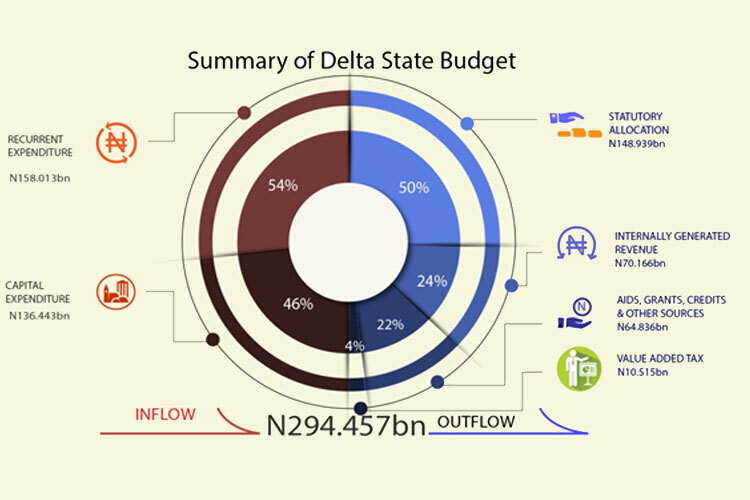 Similarly, Nigeria’s spending on debt servicing in the same period climaxed at 34.02% of the nation’s revenue. 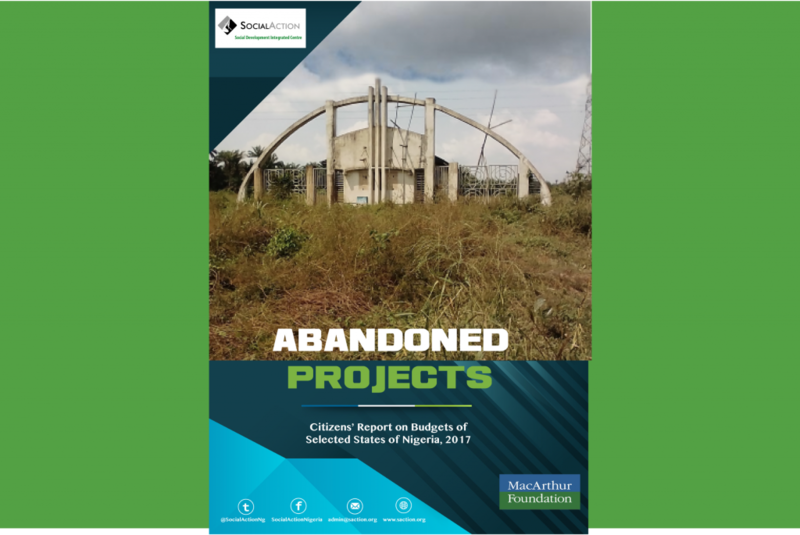 In 2017, Social Action carried out analyses and monitoring of the budgets of the states of the Niger Delta, as part of the process of monitoring development goals and tracking corrupt practices at the subnational level. A detailed report will be published early in 2018. 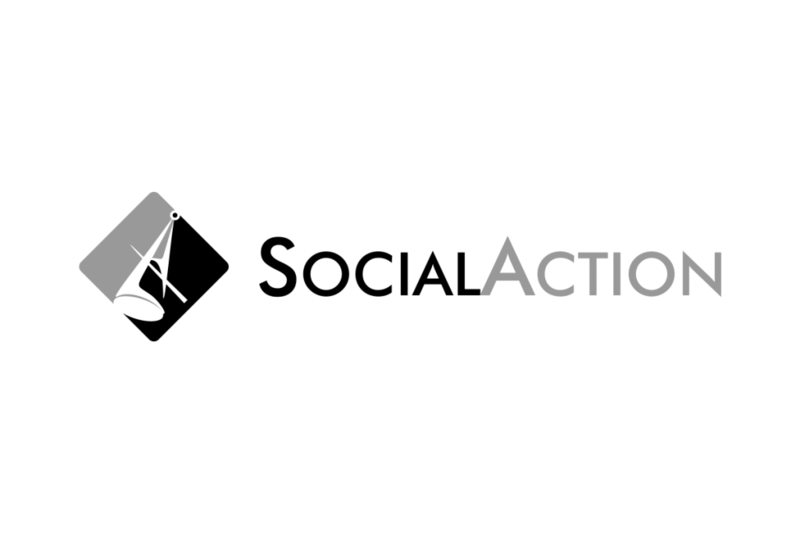 Social Action’s budget advocacy activities are aimed at calling attention to the need for citizens to get actively involved in the processes of fiscal governance and engaging the government on incipiencies observed in the budget and the actual performance. Evidence indicates that where this is the case, the performance of governments have significantly improved, thereby enhancing accountability and transparency and reducing corruption. In the last quarter of every year, Social Action selects up to 150 young activists from different parts of the country to participate in its camp meeting. 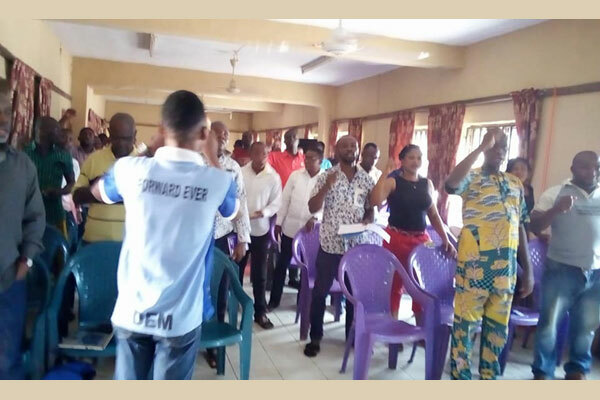 The Annual Camps are part of Social Action’s programme for Political Education and Mass Mobilisation for Nigeria and have been designed to restore alternative education, build solidarity, and provide skills and tools required to campaign for social change. Discussions focus on the connections between local concerns and global issues and explore alternatives to neoliberalism. Recently, the conversation on the need or otherwise of restructuring the Nigerian state has gained renewed prominence in contemporary Nigerian discourse, especially with the emergence of groups seeking various degrees of structural changes, including the Indigenous People of Biafra and the Niger Delta Avengers. 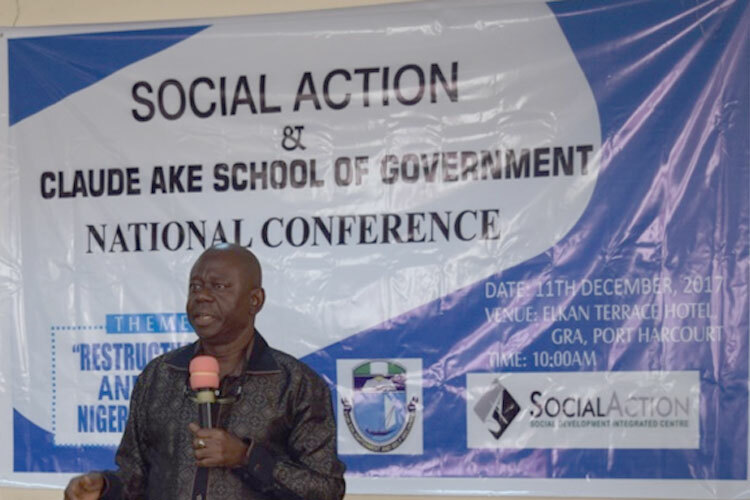 In response to the need to interrogate the different contending issues, Social Action and the Claude Ake School of Government, University of Port Harcourt jointly organised the Nigeria Social Action National Conference in December 2017 in Port Harcourt. 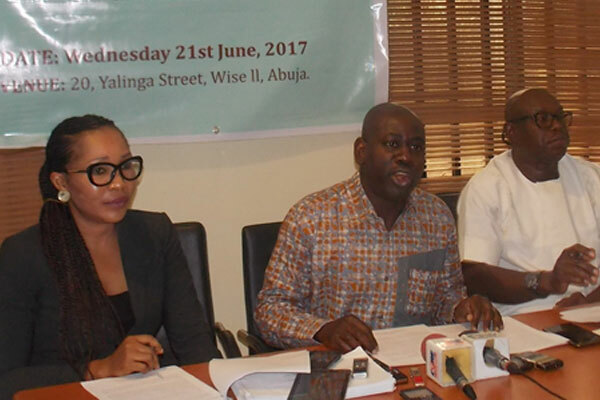 The Petroleum Industry Governance Bill (PIGB) was passed by the Senate in May 2017 (the Federal House of Representatives is still working on the bill). Social Action has undertaken a thorough study of the PIGB. The result of our examination is contained in the briefing paper, “The Petroleum Industry Governance Bill (PIGB), 2017: Implications for the Environment and Local Communities”.